Federal Small Business Minister Michaelia Cash will face a courtroom in Melbourne this week, in what’s likely to be a crucial test for the Government and the union regulator it set up in 2017. The AWU is seeking to shut down an ROC investigation of its donations to GetUp! A civil trial in the Federal Court will see the Australian Workers’ Union (AWU) cross-examine the Minister over her role in raids carried out by the Australian Federal Police (AFP) in October 2017. “It’s not every day that we see this happening,” the lawyer representing the AWU, Josh Bornstein, told the ABC. On the afternoon of October 24, 2017, the AFP raided the AWU’s offices in Sydney and Melbourne as part of an investigation into donations by the union to the activist group GetUp! ten years earlier. The investigation was one of the first undertaken by the Registered Organisations Commission (ROC), set up by the Government to regulate union and employer associations. News crews and journalists were staking out the offices before the AFP teams arrived to seize documents. “When was the last time 32 Australian Federal Police officers raided anything?” Mr Bornstein said. Opposition Leader Bill Shorten was AWU national secretary from 2001 until he entered politics in 2007. He was on the board of GetUp! until early 2006. In court this week, the union is seeking to convince Federal Court Justice Mordecai Bromberg to effectively shut down the GetUp! investigation. 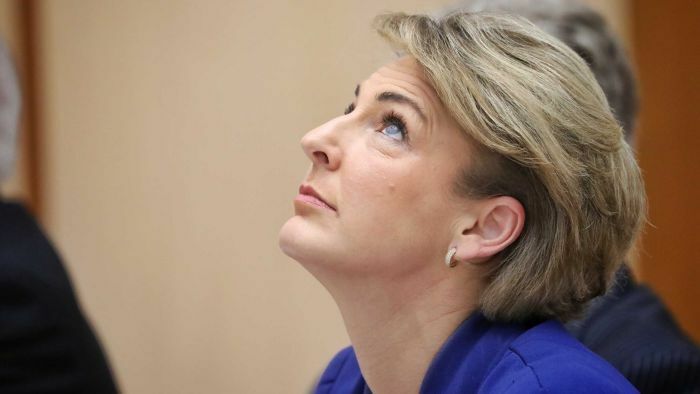 “We think there’s been a misuse of government resources, a misuse of government powers by Minister Michaelia Cash, to commence an investigation into her perceived political enemies,” AWU national secretary Dan Walton said. Court documents show that Senator Cash wrote a letter to the ROC in August 2017 in which she referred to media reports of $100,000 donated by the union to GetUp!. The Minister raised questions about whether the donations were “in accordance with the AWU’s rules”, the documents show. On October 20, 2017 the ROC advised the AWU’s solicitors that it was investigating the claims about the GetUp! donations — $50,000 from AWU Victoria, and $50,000 from the national office of the AWU. There were also several other payments made between June 2006 and June 2008 to entities associated with the ALP — including Bill Shorten’s election campaign — which were part of the same investigation. The court documents show that a magistrate approved AFP warrants at 9:40am on October 24, which were then carried out at 4:30pm in front of the waiting media. The AWU case centres on the legitimacy of the ROC investigation, but also focuses on how the media was tipped off. In a now infamous Senate Estimates hearing the next day Senator Cash denied Labor claims that her office was the source of the media leak. “I can assure you that I found out about the raids as they unfolded on the television,” she told the committee. But within hours, the Senator had to correct the record. “During the dinner break, I sought further assurances from my staff,” she told a raucous committee hearing. “I have just been advised that without my knowledge, one staff member in my office in the course of discussions with journalists, indicated that he had received information that a raid may take place. That staff member is David De Garis, who was then Senator Cash’s media advisor. He will also be giving evidence in this trial. Senator Michaelia Cash: WA Senator who was the Federal Minister for Jobs at the time. She has repeatedly and vehemently denied knowledge of the media tip-off, which came from her office. David De Garis: Senator Cash’s media advisor at the time who admitted to tipping off the media, and resigned. He now works for the Australian Hotels Association based in Perth. Mark Lee: Media advisor at the time at the Fair Work Ombudsman which also assists the Registered Organisations Commissioner. He was a former media advisor to Victorian Premier, Denis Napthine. At the time of the raids he was expecting to join Senator Cash’s office as a media advisor, but after the raids that did not happen. Ben Davies: Chief of staff for Senator Cash at the time. He left the office a few months later. His lawyer argued he should be allowed to appear by video link from Perth, where he now lives, but he has been ordered to appear in person. Other witnesses include Mark Lee, who was working in a media relations role at the Fair Work Commission, but was also assisting in handling media issues at the ROC. A former media advisor to Victoria’s former Premier, Denis Napthine, Mr Lee was due to join Senator Cash’s office later in 2017. The AWU has also sought documents relating to Mr Lee’s offer of employment from Senator Cash’s office, which the union has argued were “relevant to showing the closeness of the association between the ROC and the Minister’s office”. Mr Lee did not join Senator Cash’s office in the end. Rounding out this week’s witness list are Ben Davies, the former chief of staff to Senator Cash, and Chris Enright, the executive director of the ROC. “We hope to be able to shine a light on those processes and those people that were involved,” AWU National Secretary Daniel Walton said. The AWU raids have caused embarrassment for Senator Cash. She initially fought the subpoena to appear in this case, but a spokesperson has since said the Minister was “happy to assist the court”. “This issue is all about the proper authorisation of donations made by the AWU,” the spokesperson said in a statement. In January, the Commonwealth Director of Public Prosecutions announced it would not be proceeding with criminal charges over the media leak. In a statement, the AFP said it “can confirm the CDPP has advised they will not be proceeding with a prosecution as there are no reasonable prospects of conviction”. But the civil case proceeds. “There is nowhere to hide,” Mr Bornstein said. “It’s a very different environment when you’re being questioned in front of a judge by very skilled advocates. “This issue is all about the proper authorisation of donations made by the AWU,” the statement reads. “The ROC made a decision to investigate these donations. “The court case has been brought by the AWU. “This is between the AWU and the ROC. “The Minister is not a party to the court case and never has been. “The Minister has simply been called by the AWU to give evidence. Next articleAthletic Bilbao v Barcelona – can Barca go eight points clear?